CAT 2018 exam was concluded yesterday. The exam was conducted in two slots. 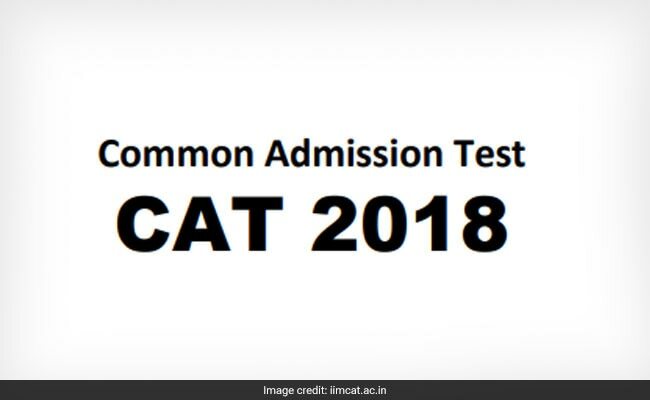 As per an expert on CAT preparation, the question papers in both the slots were similar in difficulty level, with the Quantitative Ability section being the toughest section in both the slots. The paper was moderately difficult overall. The breakup of questions was same – that is 27 out of the total 100 questions were non-MCQ. Experts have predicted that 60 out of 100 questions could be termed a good attempt. We spoke to Mr. Arks Srinivas, National Head for MBA Prep, Career Launcher, for his opinion of the CAT 2018 Slot 2 question paper. About a detailed analysis of the question paper, here’s what he told us. VARC continued to be ‘the feel good’ section. The pattern remained the same as that of the first slot. There were 34 questions with 7 Non-MCQ questions. There were no instructions provided for the number of questions in each passage. However there remained 5 passages. One passage had 4 questions (the passage on ‘Grover snails’) while the rest had 5 questions each. The topics of the remaining RC passages were also from familiar areas. They were easy to read. There were quite a few inference-based questions, but these were easy to attempt, thanks to the option choices. The options were not really very close. Only 4-5 questions from RC were tricky. However, a student should have followed the POE (process of elimination) to be able to achieve a decent accuracy rate as the options were not straight forward. The VA section had one major change. There were 4 Subjective Para Jumble questions, and all of these had 4 sentences each. There were 3 Odd sentence para-jumble questions. These questions were easier than expected. A student could have easily managed to get 4 questions correct out of the 7 PJs (PJ and OSPJ). These were TITA questions. The three para-summary questions were of moderate level of difficulty. The paragraphs continued to be short in the range pf 450 to 500 words each. However, as compared to the first slot, the summary questions were slightly easier. Only one summary question appeared to be tough. So, VARC continued to be the ‘easiest’ of the lot.